This is an impeccable, aesthetically beautiful residence that is artfully designed and skillfully enhanced by custom appointments! 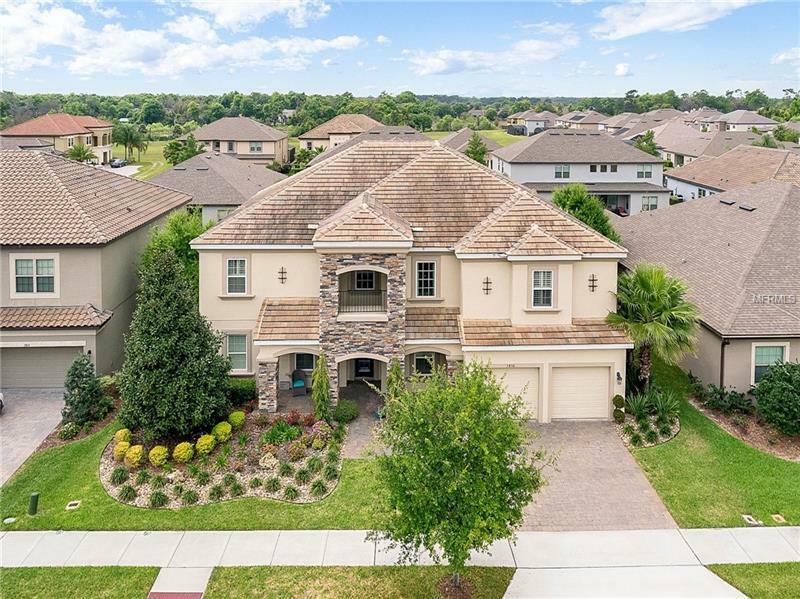 The distinctive designer elements and architectural details of this former Taylor Morrison âBrantleyâ model home is remarkable. As you enter this home you will be welcomed by the formal sitting area with beautiful built-ins and soaring ceiling. The sweeping staircase has scrolling wood work leading to the second floor where you will find a theater room, bonus room and office with built-ins and decorative coffered ceilings. The family room and casual dining area are lined with rich hardwood floors. The majestic chefâs kitchen is a dream featuring Antique White cabinets with glass fronts accented with exotic Avorio white granite countertops, trendy backsplash, center island and high line appliance package. Surround yourself with distinctive ceilings, detailed millwork and plantation shutters which enhance the beauty of the home. This home has two master suites, which is very unique. Both intimate master suites boast a seamless glass shower with generous sized, well-designed walk-in closets and his & her vanities with dressing area. Enjoy those hot summer days in the resort style pool enhanced by a tropical setting and fully equipped summer kitchen surrounded by pavers. This is truly a one of a kind opportunity to own a well-designed and superbly constructed, energy efficient home situated in Pearl Lake Estates.